Covering a flexible wide-angle range, the 17-28mm f/2.8 Di III RXD from Tamron is a versatile zoom for full-frame Sony E-mount mirrorless cameras. Spanning ultra-wide to wide focal lengths, this lens is particularly suitable for landscape, astrophotography, and architectural shooting. Its bright f/2.8 constant maximum aperture complements this range and affords increased control over depth of field along with enhanced low-light performance. Additionally, adding to the versatility, an RXD stepping motor enables quick, near-silent autofocus performance to suit stills and video, along with full-time manual focus override and a minimum focusing distance of 7.5". Versatile wide-angle zoom is designed for full-frame Sony E-mount mirrorless cameras, however can also be used with APS-C models where it will provide a 25.5-42mm equivalent focal length range. RXD (Rapid eXtra-silent stepping Drive) autofocus motor delivers impressively quiet, quick, and smooth focusing performance to suit both stills and video applications. This focusing system also offers a minimum focusing distance of just 7.5" for working with close-up subjects. Full-time manual focus override is also possible and it is compatible with Sony's Direct Manual Focus function or fine-tuned manual control. so this lens will fit my A7III with NO adapter? The Sony a7 III is a full frame/E-mount camera. This lens is for full frame/E-mount cameras. You can use both together. Focus and shoot with confidence. Does this lens have image stabilization?? 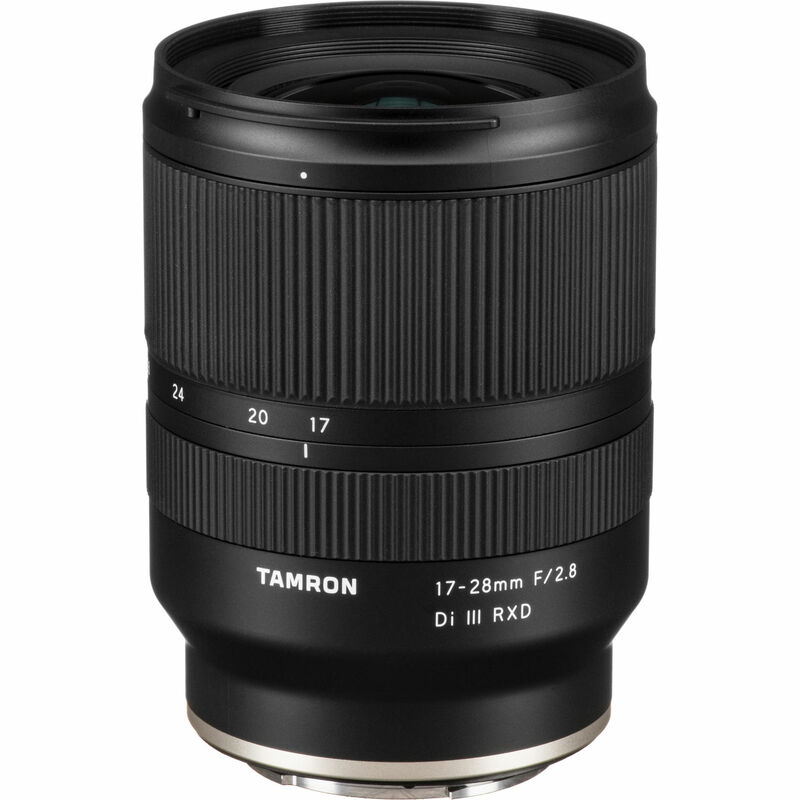 According to Tamron announcement slides, the weight is 450g. Is it constant aperture? Or Same as EF version? Should i return my sony 16-35 f4 and wait for this lens? I will very likely sell my sony 16-35 f4 for this lens.